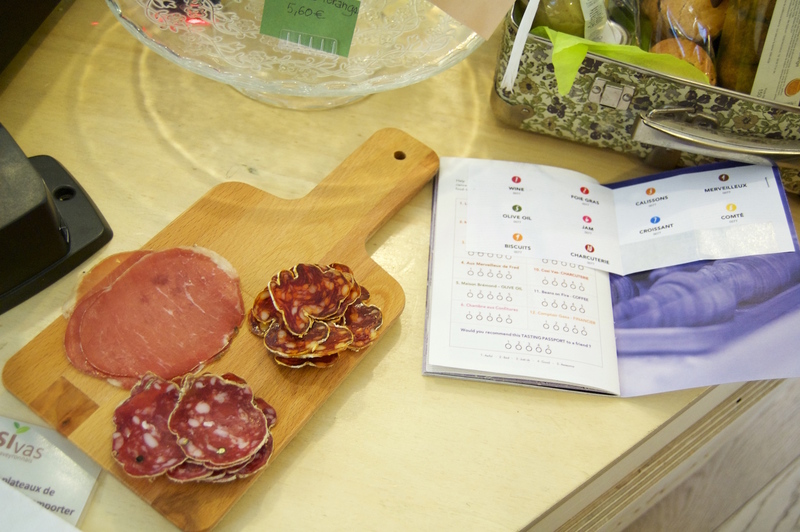 Innovative small businesses like Paris Picnic, Insidr Paris, and SacreBleu are leading Paris tourism in the direction of more personal, tailored, user-friendly service. 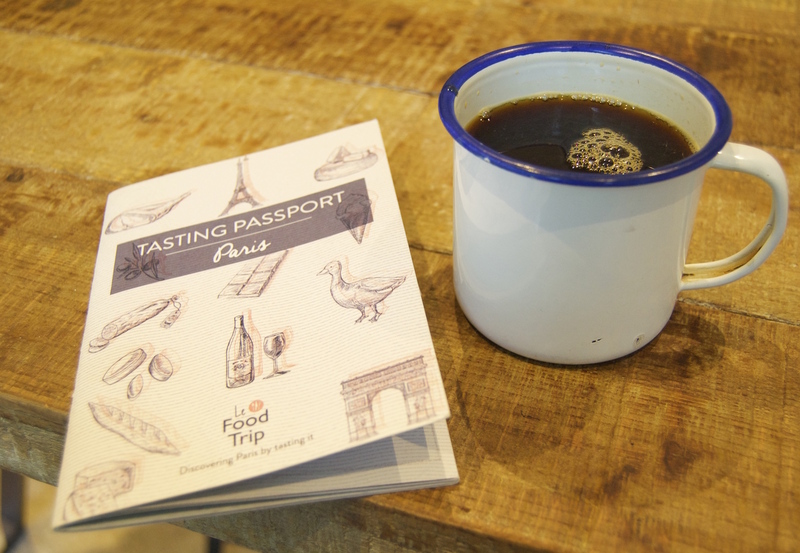 In March, Le Food Trip start-up launched a concept totally new to Paris: The Tasting Passport. 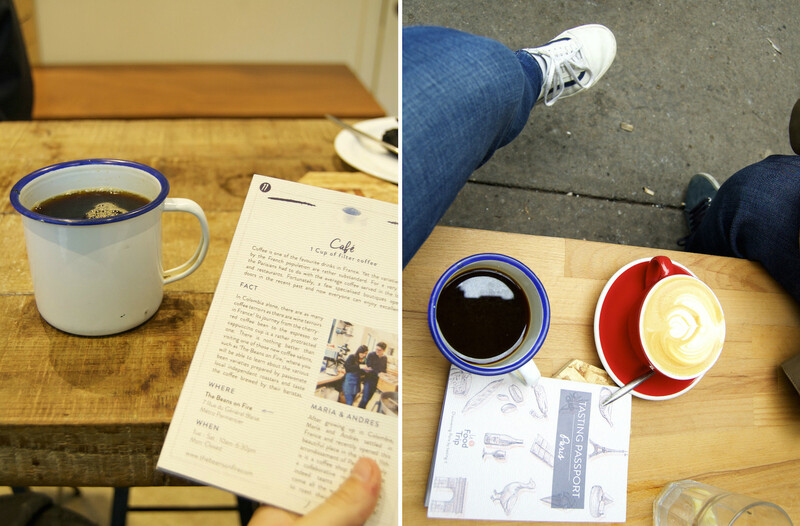 The booklet contains 12 coupons redeemable for tastings at épiceries, cafés, and bakeries around the city. So for 34 euros, you can taste a range of authentic goods at your own pace (the passport is valid for one year after purchase), in whatever order you choose, all while taking in the ambiance of a neighborhood and interacting with local business owners, one on one. 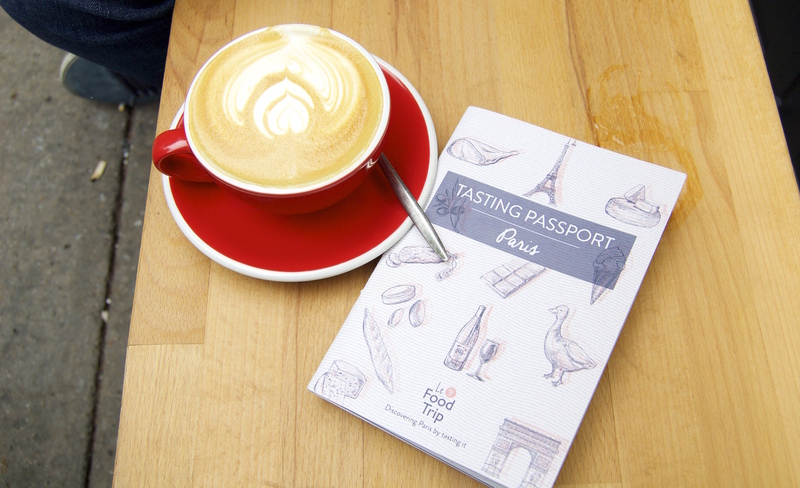 The Tasting Passport offers self-guided tours of three distinct neighborhoods: the hip and foodie-centric 11th, the chic “Gros Caillou” district next to the Eiffel Tower, and Montmartre. 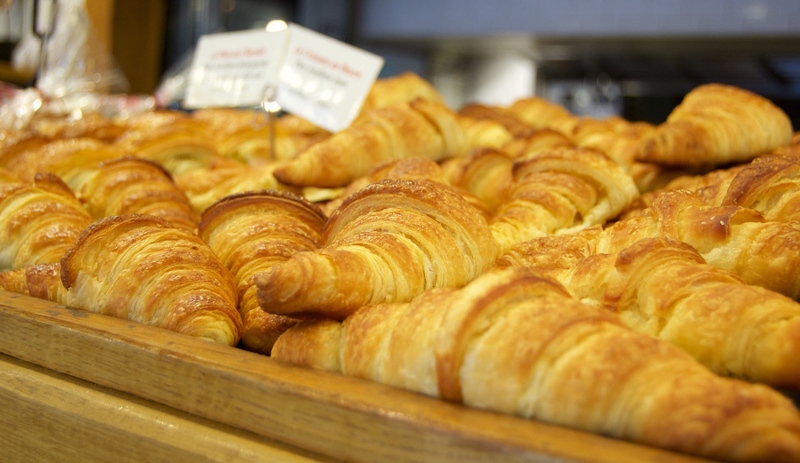 Products range from traditional French delicacies like foie gras, comté, and handmade calisons from Provence, to trendy favorites like artisanal coffee from collaborative roaster, The Beans on Fire, and meringue cakes from Aux Merveilleux de Fred. Founders Adrian, Pierre, and Martin first met at age five while in school in a Parisian suburb. Later, during a post-grad trip through Asia, the three entrepreneurs discovered first-hand how much can be learned about a foreign city and culture through tasting its local dishes. 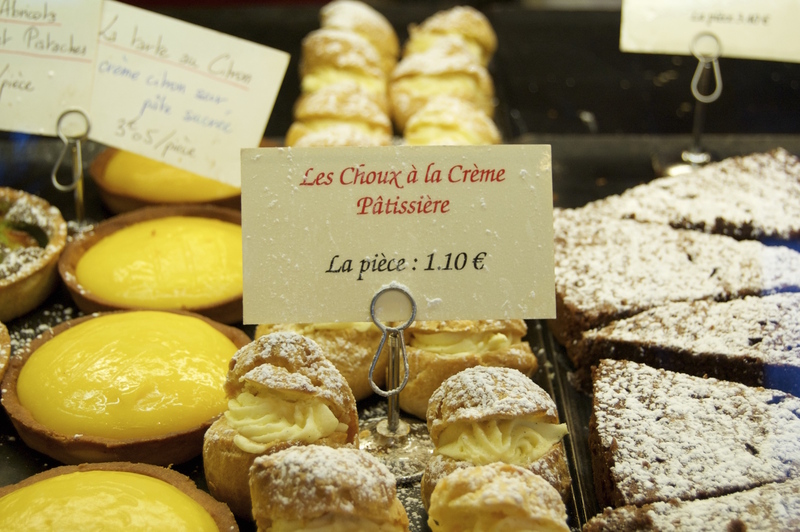 Upon their return to Paris, they started a food tour of rue des Martyrs – an iconic Montmartre street home to many independent shop-owners – letting the artisans speak for themselves, even without a perfect level of English or professional tour guide experience. 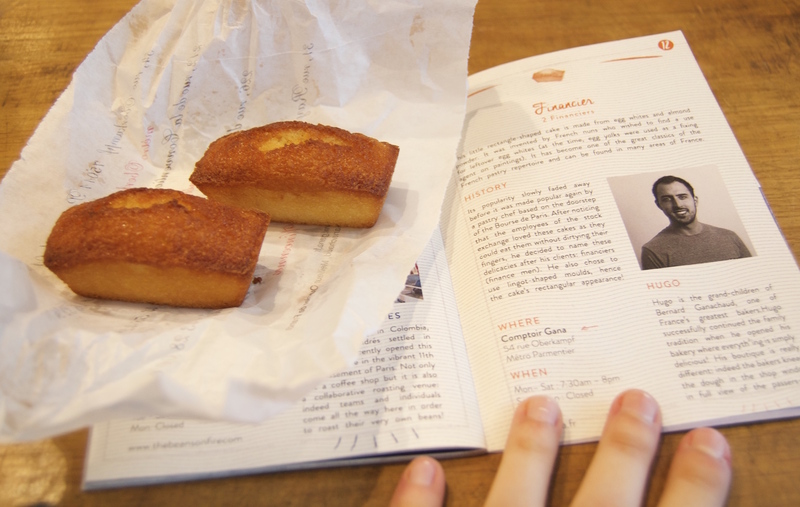 In putting together the passport, the team took pains to seek out quality products (they tested 25 different croissants before choosing Au Caprice Gourmand!) and form relationships with artisans who not only speak English, but who are willing to explain their métier to curious visitors, further shattering the bad-tempered French stereotype. Brigitte, for example, is the lovely owner of Cosi Vas, a tiny épicerie specializing in products from her native Aveyron region in the South, and knew Martin, Adrian, and Pierre from when they were students at the business school across the street and would pop in during their lunch hour. As a small, flexible start-up, the team plans to continually adapt their services by adding different themed tours to their options (a Vegan themed tour or Asian food tour, anyone? ), and are in the midst of developing an app to accompany the physical booklet. Keep your eyes peeled for more! 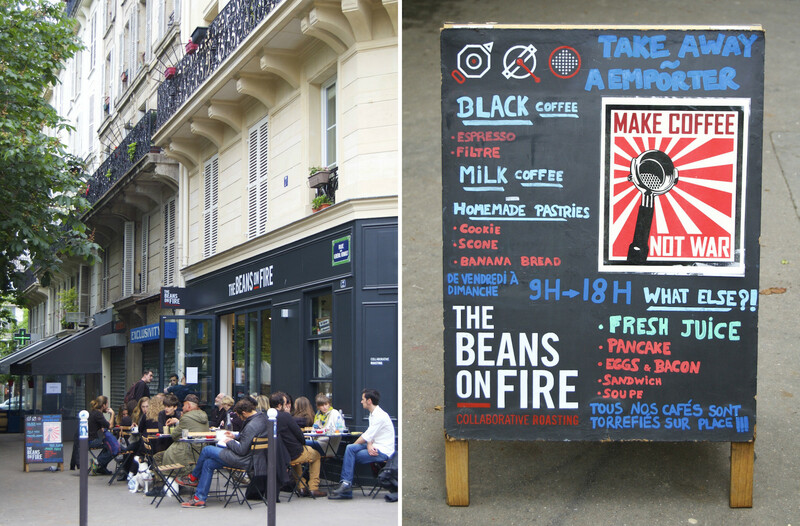 The Beans on Fire – 7 Rue du Général Blaise, 75011. Métro: Rue Saint-Maur; Tel: +33 (0)1 43 55 94 73. 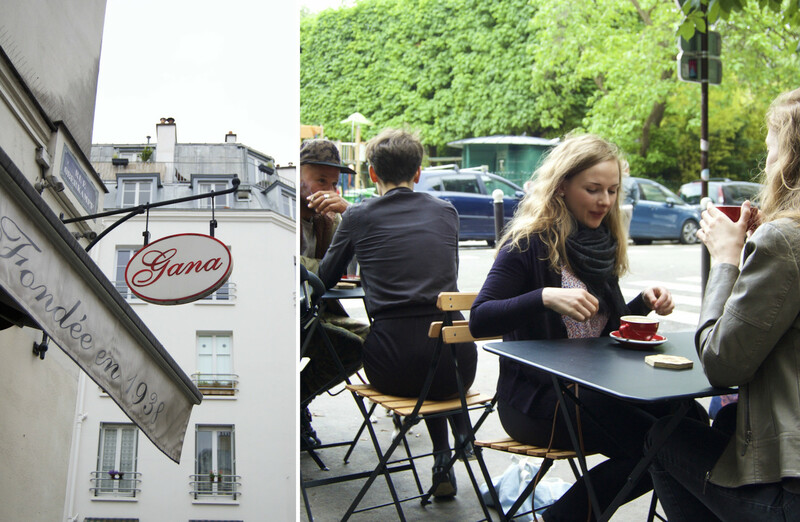 Comptoir Gana – 54 Rue Oberkampf, 75011. Métro: Parmentier; Tel: +33 (0)1 55 28 71 02. Aux Merveilleux de Fred – 94 Rue Saint-Dominique, 75007. Métro: La Tour-Maubourg; Tel: +33 (0)1 47 53 91 34. 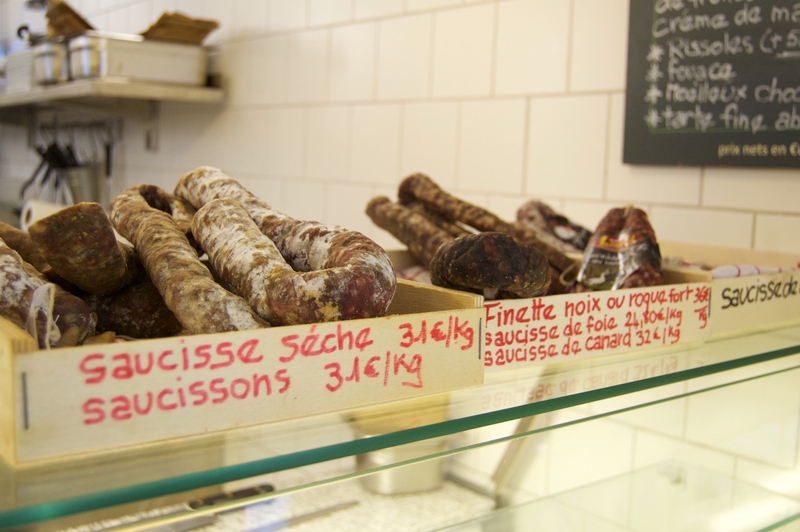 Au Caprice Gourmand – 79 Rue de Rochechouart, 75009. Métro: Anvers; Tel: +33 (0)1 48 78 69 21. Cosi Vas – 78 avenue de la République 75011. Métro: Rue Saint-Maur; Tel: +33 (0)1 71 70 19 78. A food-lover in Paris? Check out our five favorite apps to quench your culinary cravings. Context Travel is a HiP go-to for expert-guided tours, on whatever subject sparks interest. Tech.co spills on the Paris start-up scene, which beat out Berlin’s last year.